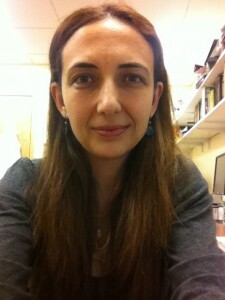 Dr. Inci Yildirim is an Assistant Professor of Pediatrics and Attending Physician in Pediatric Infectious Diseases at Emory University School of Medicine. She trained at the Pediatrics residency at Yale University and completed infectious diseases fellowship at Boston Children’s Hospital/Boston Medical Center in Boston. She completed her Masters in Epidemiology and is currently a doctoral student at Boston University School of Public Health. She was a recipient of the Massachusetts Infectious Disease Society’s Maxwell Finland Award for Excellence in Research, and Edward H. Kass Award for Clinical Excellence During Fellowship in 2015. Dr Yildirim’s research focuses on epidemiology of vaccine-preventable diseases particularly pneumococcal infections and cost-effectiveness of screening strategies for tuberculosis. She has published over 40 articles on epidemiology of childhood infectious diseases in various scientific journals, including Pediatrics, Emerging Infectious Diseases, Clinics of North America, Vaccine, Pediatric Infectious Disease Journal.